NBC News‘ “Today” is boosting its ecommerce efforts this holiday season. 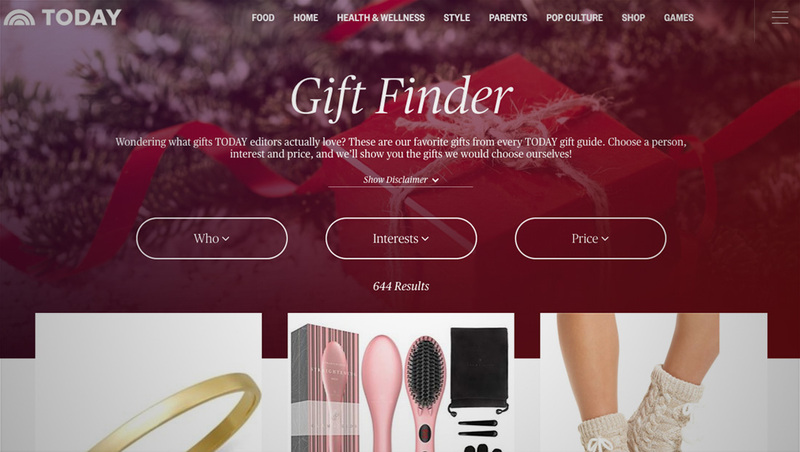 In addition, “Today” has grouped its articles on gifts, toys and shopping into a “gift guides” section of its website. “Today” has also added a dedicated homepage to its “Steals & Deals” franchise, which offers viewers discounted prices on products, typically done under a “promotional consideration provided by” arrangement with the vendor. The show’s “Shop Today” Facebook page, which launched this summer, features a Facebook Messenger bot and special deals. The show is also prepping to launch “One Small Thing” — a shoppable video series. It’s important to note that many of the show’s ecommerce efforts above involve a financial arrangement between “Today” and the merchants — typically in the form of a small commission paid to NBC for referring sales. “Today” is not unique in creating content around advertiser products or referrals — and the approach is becoming an increasingly popular way for publishers and TV stations and networks to add a revenue stream. The network is also airing matching promos for the gift guide and related content.